Visual Studio Code>Programming Languages>KaryScriptNew to Visual Studio Code? Get it now. 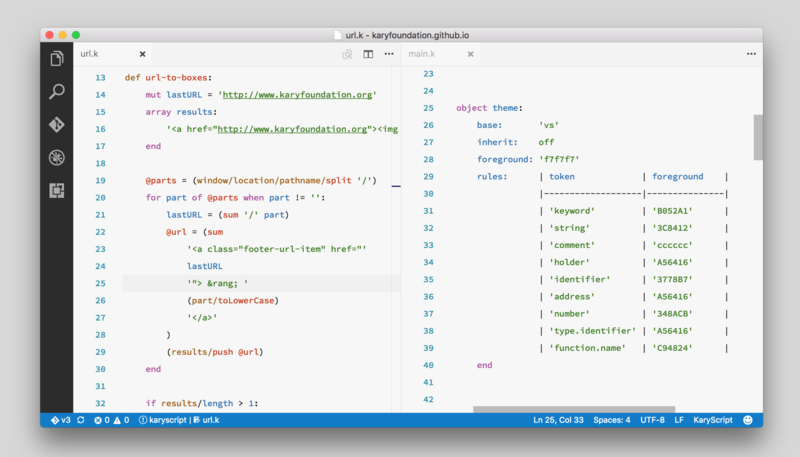 KaryScript Language Support for Visual Studio Code. As KaryScript itself is still under heavy development you should expect a very "development-heavy" package here. With many updates and bug fixes every now and then.